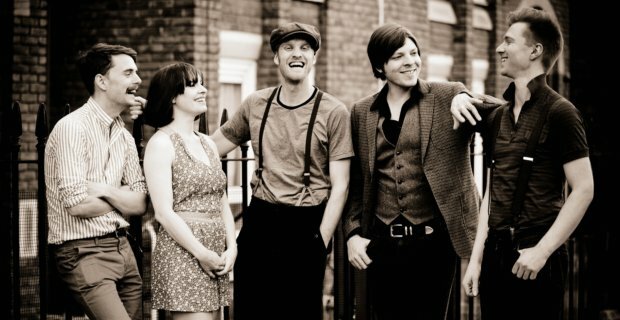 Skinny Lister have been toiling away within the North American scene with a lot of success and growth to show for it. Between a run on this past summer’s Vans Warped Tour, signing onto Los Angeles, California’s SideOneDummy Records, releasing Forge & Flagon with grand reception, and opening for Dropkick Murphys earlier this winter, they’ve certainly paid their dues. James Shotwell is currently on the streets in Austin, TX for the week, experiencing all of the full-blown madness that is the music segment of SXSW. Last night at around 10 p.m. he took a trip out to The Firehouse Lounge to catch a quick set from the folk punk band and here we have what he has to show from it. You can expect much more UTG coverage to come from SXSW in the coming days. Until then, follow the jump for the latest installment of UTG TV: a live performance of one of our favorite tracks off of Forge & Flagon, “Forty Pound Wedding”.